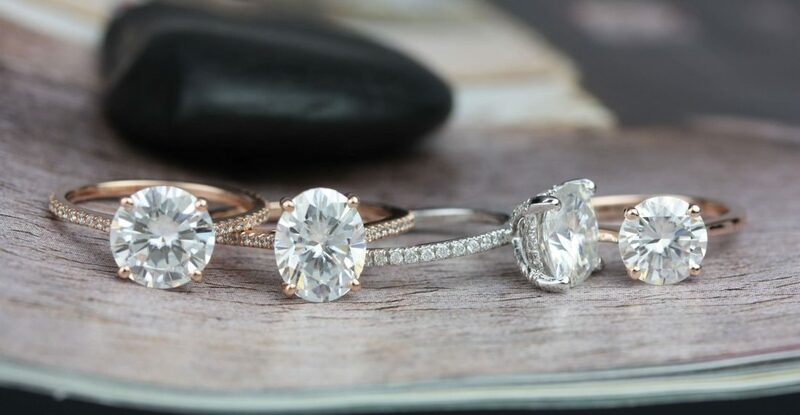 Behind every ring purchased from Love & Promise Jewelers is a great love story. 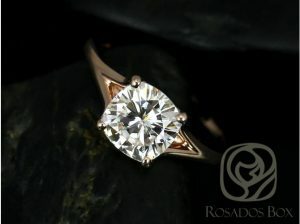 And there is nothing we love more than when our customers share their stories with us. 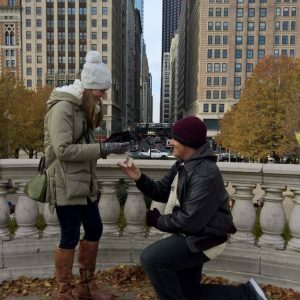 Share your proposal and wedding stories on our Instagram page! 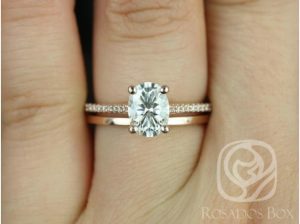 For socially conscious couples like Breanna and John, moissanites are the most popular alternative to diamonds. 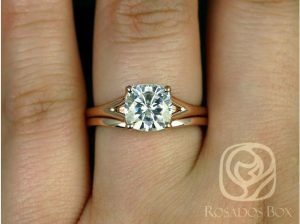 For its clarity, color, and hardness (9.25-9.5 on the Mohs scale to the diamond’s 10), the moissanite is the number-one rival to a natural diamond because of its beauty and distinct advantage of being 100% conflict-free. 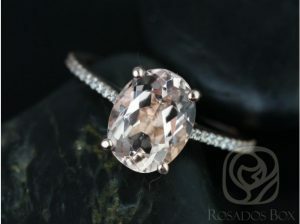 See more moissanite rings in our Rosados Box collection. 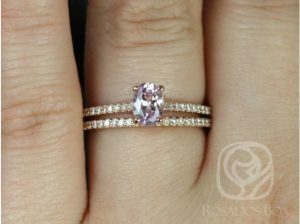 Katherine M. told us how she “could not stop talking for months” about a particular ring in our Rosados Box collection. She and JR (now her fiance) had been dating for several years and had recently been talking about marriage. 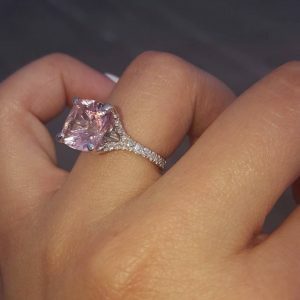 So Katherine, who is a nurse in Alabama, started researching engagement rings online that were conflict-free and ethically made, and fell in love with the “Blake,” a graceful classic design made of recycled 14kt white gold with a moissanite center stone and 100% conflict-free diamonds around the band. 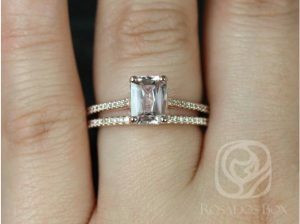 Last December, the couple took a weekend trip to Chicago specifically so Katherine could bring JR to our downtown store and show him the ring up close and in person. On their way, the couple took a stroll through Millennium Park, one of our city’s most beautiful public spaces. 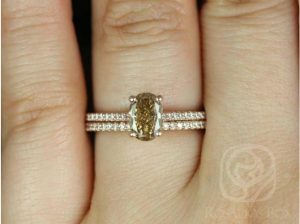 Suddenly, JR dropped to one knee to propose — and presented her with the ring she had been obsessing about! It turns out he had purchased it online beforehand and had secretly brought it with him to surprise her. Sigh…that’s what true love looks like to us. 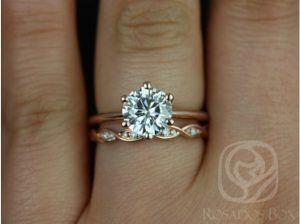 Learn more about customizing your ring. 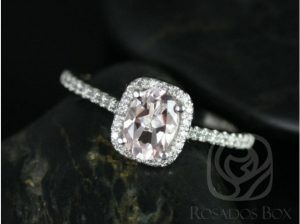 How has Love & Promise Jewelers and Rosados Box been a part of your love story? We want to hear from you! 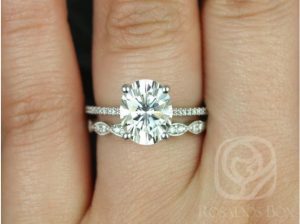 Please share your proposal and wedding stories, and your favorite photos, with us on Instagram and on Facebook.